Genomics, Medicine, and Pseudoscience: Internet quack Joe Mercola is worried. Dr. Oz to the rescue! I'm subscribing to your feed as well ... keep your friends close and your enemies closer. Nice hit piece on vitamins considering that millions have improved their health avoiding all the big pharma drugs and corresponding side effects. Anonymous eh? You're the Wizard of Oz for sure. Blah blah blah. I don't think Dr.Mercola is worried at all. The comments in this article are wildly inaccurate and without basis or proof of any sort. Read some of Mercola's articles. He provides proof and evidence throughout. You don't have to agree with everything he writes to find the information incredibly useful. Sure he sells stuff. So what. Why shouldn't he. You don't have to buy anything (I don't) to benefit from the information. Also, Mercola is not anti-vaccine. He definitely is skeptical. Good thing. Are we just supposed to believe? This article is just a rant anyway. Rant away but find some real quacks. There are lots of them out there. By the way, just wondering how much money Paul Offit makes from the vaccines he loves so much. Not that he's a quack or anything though - just a firm believer it what he sells I guess. Pass the Himilayan salt please. Ever watch the commercials from Big Pharma with the side effects list of their magic pills? Hmm....let's see...encephalopathy, liver cancer, and sometimes death to name just a few. Haven't heard of this list for vitamins yet. Or law firms commercials offering their help in suing the pharmaceutical companies for damages. Haven't heard of them offering their help to sue Mercola yet? Wonder why? You figure it out. i dont know much about homeopathy. one thing is true, swine flu vaccine killed my mon 4 years ago, and near killed my dad at the same time. Dr. Burton M. Berkson was among the first to discover a natural treatment regimen. He is an internist and during his training was given several patients who were expected to die from hepatitis C. These three patients, who were not expected to live more than a few weeks, completely recovered. What were the antioxidants? Excerpted from: The Most Epic Drug Failure. Ever. By dr. Mercola September 13; 2012 . You truly don't know what the heck you're talking about. You watch these pharmaceutical companies sell this crap to our children every day. We are a nation of addicted people. Addicted to pharmaceuticals. Why don't you track the quacks there who make billions of dollars and so rarely actually help people. Put your focus somewhere where it actually does some good. Wake up! 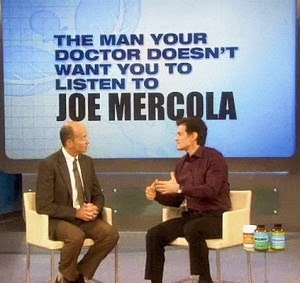 Anyone who believes in Mr. Mercola is a useless idiot.